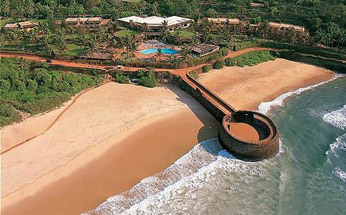 Hotel Taj Fort Aguada Beach Resort is stunningly perched on a verdant hillock. The resort was brought into existence as ideal place to unwind for the Commonwealth heads of Governments in 1983. The resort is beautifully snuggled amidst a colourful mosaic of blooming buds and trees. The ideal location of the Taj fort Aguada Beach Resort makes it more important as it is situated on the sparkling beach. The resort is situated at a distance of 45 km. from the airport, 25 km. from the railway station and bus terminal is only 15 km. away. Panjim Bus Stand: 15 KM. The resort is an ideal venue for both small and big weddings as it has both small and big venues. 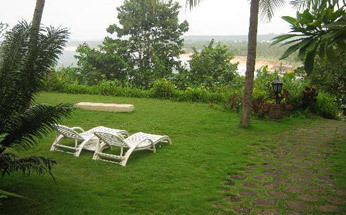 Bay view point is an open air venue with a an accommodation capacity of about 600 persons and ideal for big weddings. Fishtail open air venue has an accommodation capacity of around 150 persons. Ballroom indoor venue can comfortably accommodate 60 persons in seating and a group of 150 persons in standing mode. 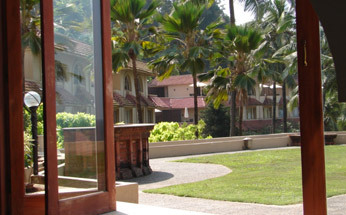 Taj Aguada Beach Resort consists of 15 luxurious rooms classified into 12 air-conditioned Single Rooms and 3 air-conditioned Double Rooms. 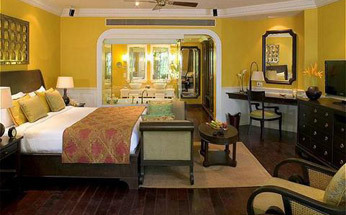 Every room of the hotel is large sized and aesthetically adorned offering striking glimpse of the beach. All the rooms are discerningly designed to offer much needed privacy and commands the glory of playing host to some world renowned leaders and celebrities. Hotel Aguada Beach Resort offers all sorts of Casual and formal dining as guests can choose from an array of scrumptious cuisines and all the major brands of drinks. 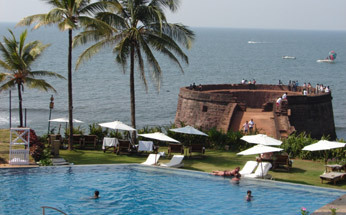 For this purpose the Taj Fort Aguada Beach Resort, Goa has "Sea Shell Restaurant" and the Martini Bar.